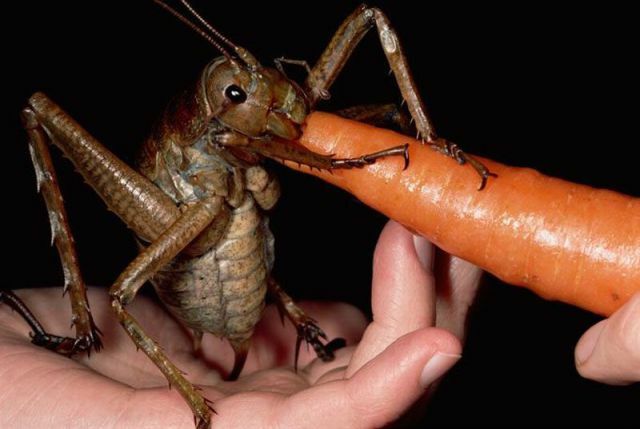 This is a weta, a huge primordial cricket insect from New Zealand. Weta Workshop was named after this critter, the guys who did the special effects for the Narnia movies, the Lord of the Ring movies, District 9, and many others. They are the premier effects shop in movies today, and apparently they like really big bugs.